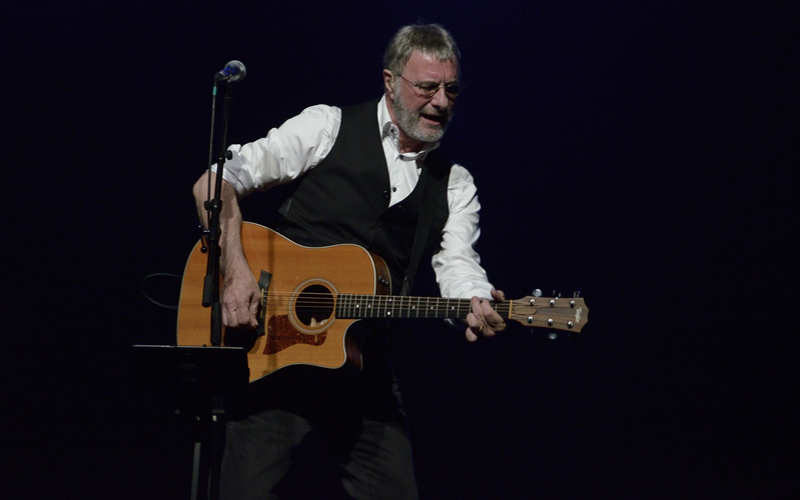 Steve Harley celebrated his 45th year in music in 2017, continuing to release new material, and play concerts around the world. The original Cockney Rebel tours with a full 6-piece rock band – Barry Wickens is the ever-present violinist, and James Lascelles (piano/percussion), Paul Cuddeford (guitar), Kuma Harada (bass) and original band member, Stuart Elliott (drums) complete the line-up. Expect to hear all the big hit singles, like Judy Teen, Mr Soft, Love’s A Prima Donna, the hugely orchestrated Sebastian, as well as the evergreen Make Me Smile (Come Up And See Me), known among his fans as “Harley’s pension”!! That song is noted by PRS as one of the most-played songs in history on British Radio. Recent critical acclaim has included such comments as “A professional at the top of his game”; “One of the greatest lyricists Britain has produced,” (Rod Stewart) and “an authentic voice in a synthetic world.” Mojo commented: “Songs of deep beauty, full of life’s experiences” and The Times wrote: “An extraordinary concert”.